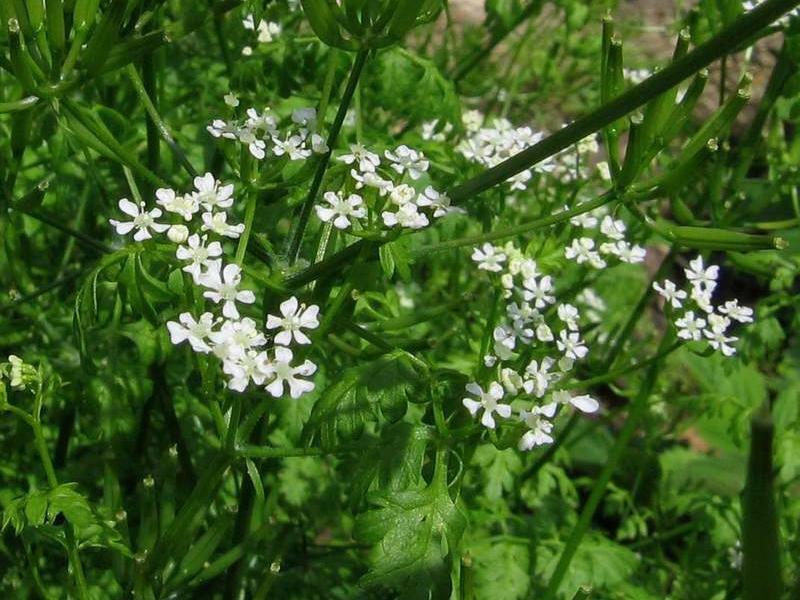 Garden chervil is an easy-to-grow culinary herb native to Eurasia, and occasionally escaping cultivation in North America. 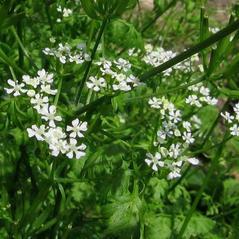 Similar to parsley, it has a sweeter, more delicate flavor particularly important in French cuisine. 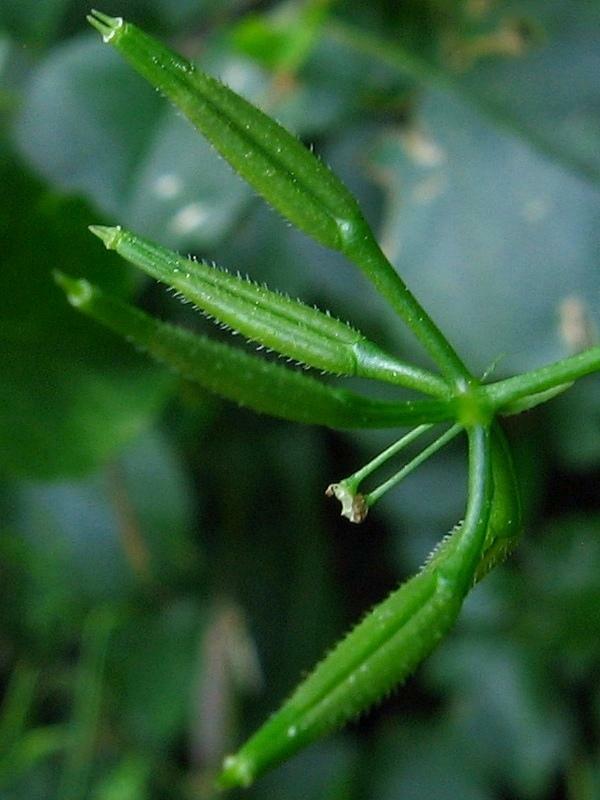 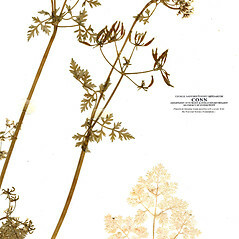 umbels with mostly 6-15 primary branches, ultimate segments of leaf blades mostly 15-50 mm long, and bracteoles of umbellets narrow-ovate (vs. A. cerefolium, with umbels with 2-6 primary branches, ultimate segments of leaf blades mostly 5-10 mm long, and bracteoles of umbellets linear). 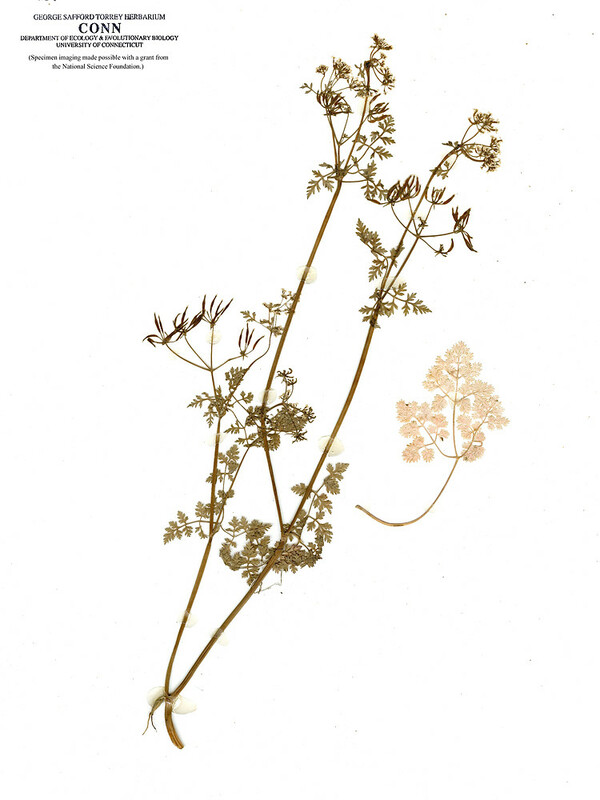 garden chervil. 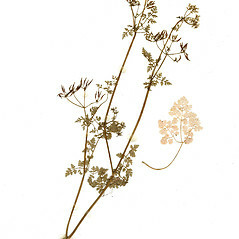 Cerefolium cerefolium (L.) Britt. 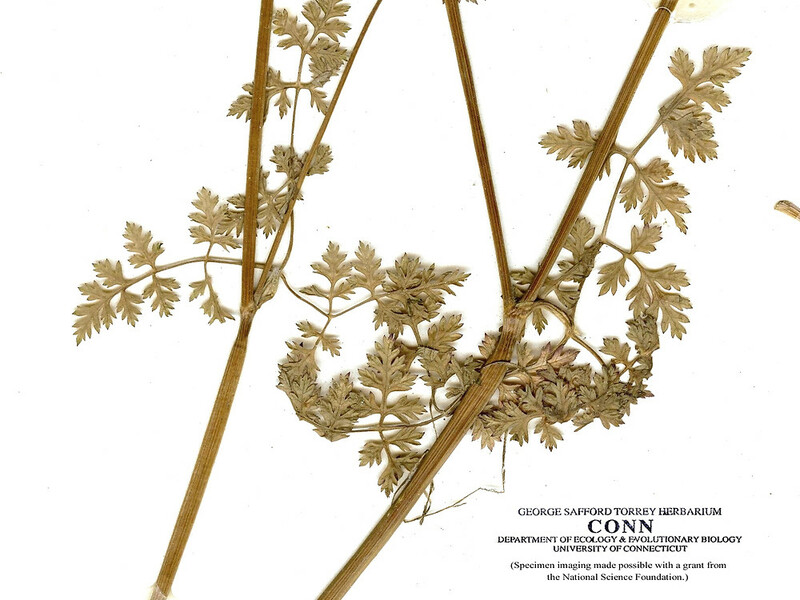 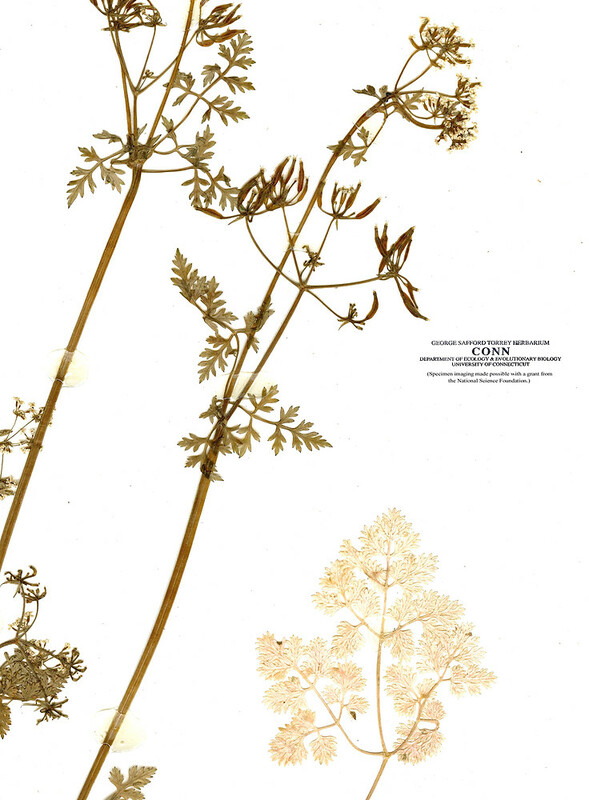 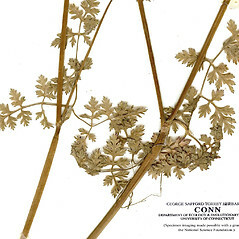 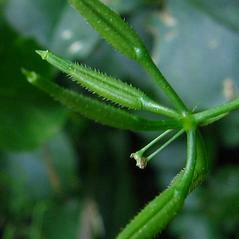 ; Scandix cerefolium L. • CT, VT. Roadsides, gardens, waste areas.